The Econo Lodge & Suites is near Henderson Park, Nikka Yuko Japanese Garden, Galt Gardens, Southern Alberta Art Gallery and Park Place Shopping Centre. The University of Lethbridge is minutes away. 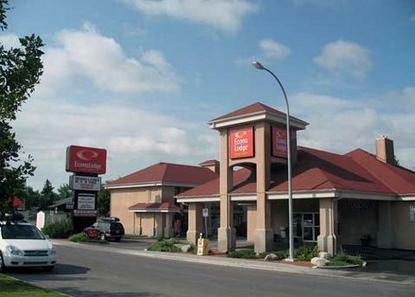 Guests of this Lethbridge hotel will appreciate many full-service amenities: Free continental breakfast, Free local calls, Pet-friendly hotel additional charge applies. Guest rooms have irons, ironing boards, coffee makers and cable television. Refrigerators and microwaves are available with advance request. Room configurations include singles, doubles, kitchenettes, family suites, corporate suites and handicap accessible rooms. The Bridal Suite includes a whirlpool bathtub. Guest laundry available. Pet Charge 10.00 nightly.